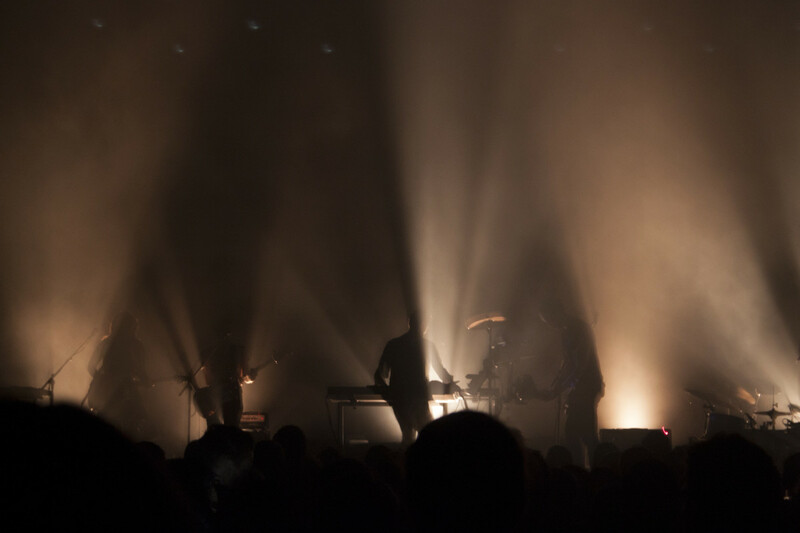 Anders Trentemøller is a musician that carries the creative torch. He is a visionary, leading his listeners down a path of either his own design or intuition. He is indefinable in a sense, but so complete and essential when experienced. 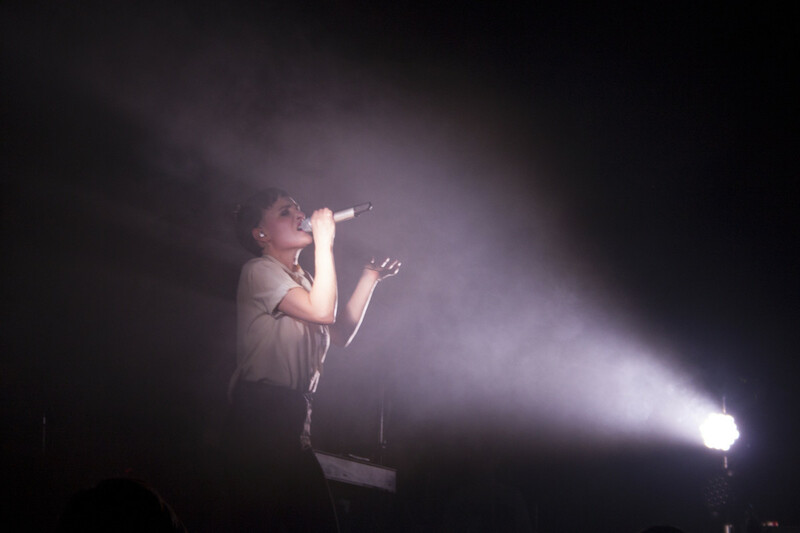 Making music that is dark and melancholic yet so full of life and emotion. He is capable across the full musical spectrum, the man can do it all and remains very down to earth at the same time. His remixes are top notch and very keen on the dance floor and his original compositions will blow you away. If you are familiar, would it surprise you that he plays all of the instruments in the studio when writing and composing? 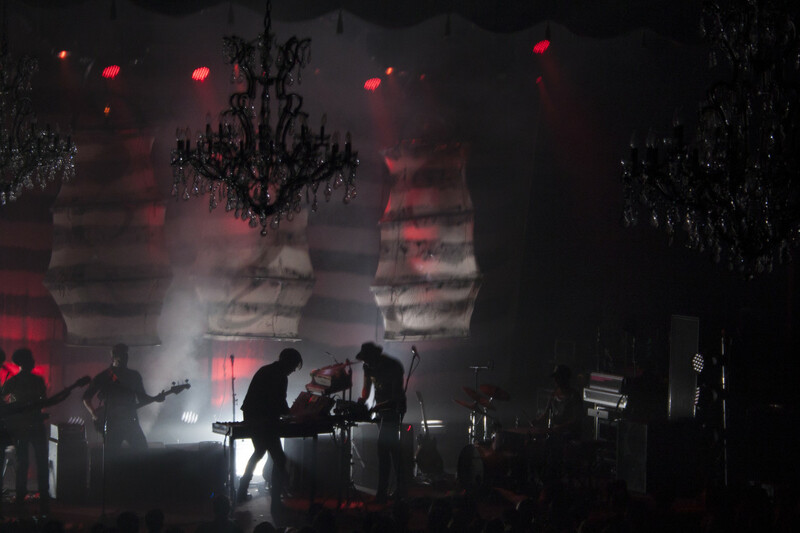 I caught up with Trentemøller at the historic Fillmore in San Francisco and I was not sure the creative creature I would encounter. His music is so full - powerful and daring although delicate, deep. The man I met and spoke to is a musician at his core who is absolutely excited and passionate about everything he is doing. He is humble but still confident in executing on his beautiful vision and craft. 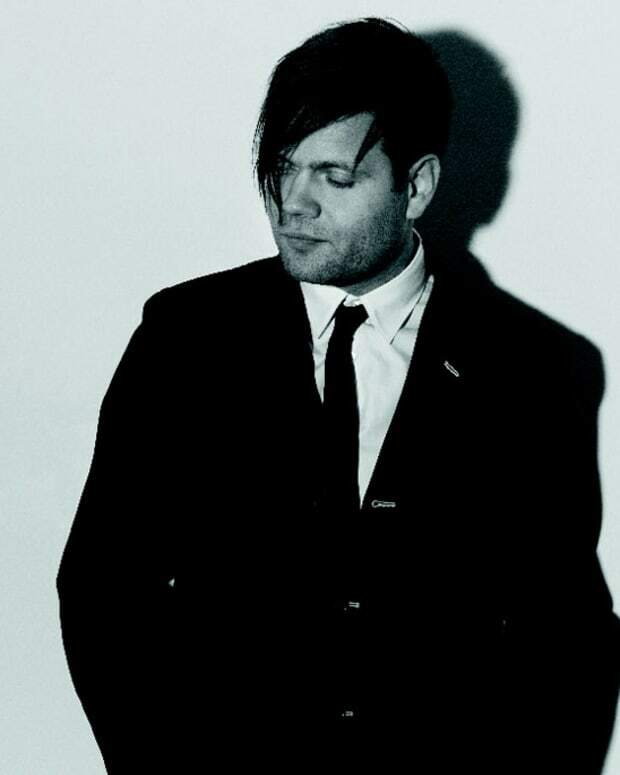 The world does not have many artists like Trentemøller. Realizing dream into reality, creating something so his own it confuses and confounds those who try to classify it, it begs the question - shouldn’t we all just be focused on appreciating the music rather than fitting it into a box? I assure you, there is no box big enough for this artist. 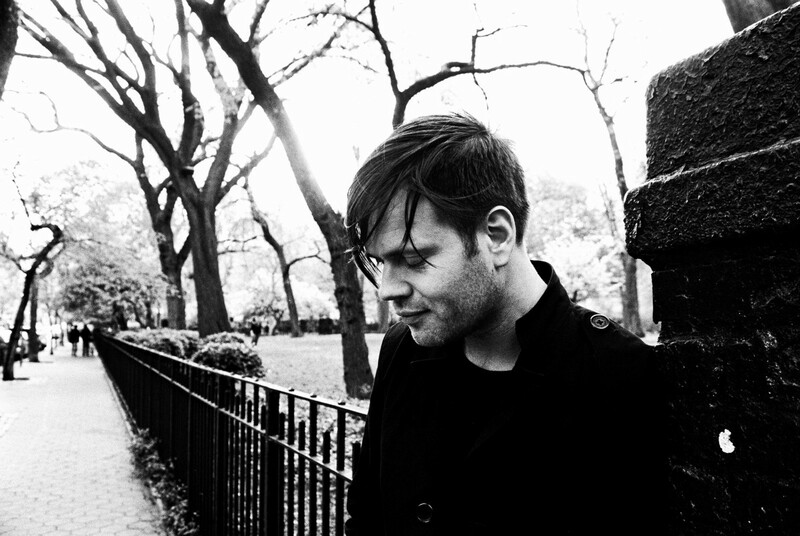 He is far from anything reminiscent of reaching the peak of his career, so electronic music better watch out with where Trentemøller is going… He carries a very unique flame and I am an absolute moth to it. So, it’s the second to last show in your ‘Lost’ tour. How has it been? Sad to have it end? Yeah kind of because we’ve been touring for nearly two years now, on and off of course. We started off pretty crazy supporting Depeche Mode on their big stadium shows and then just been playing Europe and actually also went to the states on a little tour six months ago. Then we played a lot of festivals in Europe also this summer and now this US tour. It’s been really, really fun, but you are of course getting a bit melancholic because we have been together. We are eleven people, five people in the band and six in crew actually, so we are eleven people travelling together and spending that much time in a bus. You become close friends. It’s always weird after a tour, suddenly it ends after one last night. But you also really look forward to it. My plan is for the first time actually in my life, I’m going to take a break from touring and doing anything live for a year and a half, really concentrate on working on the next album. So in the middle of being a little sad about this tour ending, I am also really looking forward to songwriting again. What is next after the tour? Another album? Another tour? I really can’t wait to get the quietness and the space to go into writing again. It’s really difficult for me to do that while we are touring - we are touring and then back in Copenhagen for three weeks and then go on tour again and then we’re back. It’s really like a schizophrenic life to have because you are always on the run and I really like to isolate myself in the studio, it’s only me doing every instrument, all ideas and all kind of solutions I have to make are on my own. That is something that I also miss a bit because it’s a very social thing to tour with a band, but I somehow, if I’m in the writing process, I really prefer not to have too many people around me. So do you do every single instrument? Yeah, yeah, on the album. Some of the drums, our drummer who plays with me live, he’ll be in the studio because he can play the drums much better than me, so if there are some beats or some stuff I cannot play live, he plays them on drums. Basically, I do most of the instruments, but sometimes my guitar player comes in, he can play better, he can do some extra stuff. That’s interesting because I have heard parallels that you are on the same creative trajectory as Trent Reznor. I’d say your quality is definitely there to be compared to Nine Inch Nails. So you have the similar production/composition technique! It is true actually and one other thing that makes it easy for me is that I got a background in playing in bands for many years before I started producing and working in the studio, so I also know how to play the instruments, maybe not as good but good enough for the studio where I can edit and do a lot of stuff. So it’s easier if we are going from this phase of transferring the music from the album to the band, then it’s easier for me to sit down behind the drums and play the drum parts instead of trying to tell them about it I can go on and play it. Some have classified you as “organic forest techno”, which I’m not sure actually captures your essence. Do you agree or disagree with it? Better yet, how would you succinctly describe your style and sound? If you can. It’s always really hard. I really don’t think it’s techno at all because there are no techno elements, but there are definitely electronic elements, which is what sometimes confuses people. 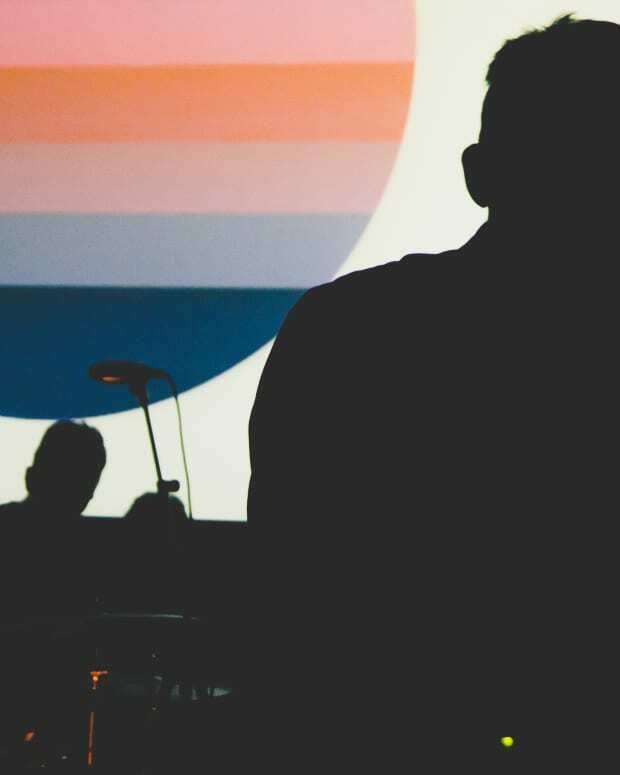 For me, electronic elements that I use like drum machines and synths were already there and are electronic, but I definitely use elements from the club scene and then I use a lot of other elements. It’s always hard for me to put my music into one specific box and that’s also what sometimes confuses people. That’s also the same for the critics of my music that sometimes say it’s really hard to classify, is it a hybrid between shoegaze rock or electronic stuff? For me, it doesn’t really matter much, I’m just trying to do good quality music, what I feel is good quality music and then I don’t think what it is. It certainly is a problem sometimes for music journalists and for record stores to put my music and radio stations. I don’t believe it’s my problem, I’m just trying to do the music that is right. Maybe it’s quite a cool thing that it can be different things. How do you feel you are evolving? You have come so far, achieved so much, and really grown along the way. Where do you plan to go from here? What does the future hold for Trentemoller? Oh, there is so much to learn still, so much to explore. Right now, I’m not that aware of how my future will sound or how my future albums will be as I’m still in this tour mode. I believe, always after a big tour, I kind of get a little bit not depressed but there is this big emptiness after being together with a lot of people and having all this feedback from the crowd and you are feeling adored when you stand there on the stage. Then suddenly, I’m back in Copenhagen again in my studio and that’s sometimes a really contrast, but it is only there that I actually slowly get a feeling how the next album will be when I start to write new music. It’s not something that I really plan before I do it, just something that comes naturally and in a very slow developing process. More than halfway through the writing process I am kind of aware of what way to go. I am just trying to be totally open and see where the music takes me and that also means sometimes you have to kill some darlings. Sometimes I am making some songs that will not fit on an album because they are too different from the sound that I can see that I have been doing. Along the same lines, are you where you want to be artistically? I don’t think as an artist you are ever totally satisfied because you always need to pursue the next idea. If I felt I was exactly where I wanted to be I would also get bored because I really like to explore what can happen with my sound and melody writing and songwriting. That is what keeps me going; Always hungry for new stuff. I think that it’s actually a positive thing not to be where I want to be and hopefully I will keep on being inspired. It’s also something that you, as an artist, can be really afraid of getting this writer’s block. I once had it for two years and now I have learned not to panic when I don’t feel inspired because you are not inspired every day, it’s something that comes and goes without your control so to speak. So I have learned not to panic when I am not coming up with anything for two or three weeks. Is there a Trentemoller philosophy? Do you have a set of morals or guidelines that you adhere to creatively? How do you go about maintaining such a definitive style, yet explore and experiment so beautifully? I don’t really have any rules to follow, but the only rule I kind of follow and that I learned is to trust your gut feeling. So if something feels right, even if people around you say, “Ah, no, I don’t think this will work”, then if it really feels right for you, then it is right. Many times early in my career, I think I listened a lot to what people might also say and mean not about music, but about the music business, and what I found out I’m not a businessman, I’m a musician and composer, and that is what I do. If I just follow what feels right for me, that’s the only rule I kind of follow. If it feels right it is right. What are a few of your influences and inspirations? There are many! It’s not always music, it can also be a lot of other things. It’s actually really hard to point out one specific thing, but musically, for this album I was very much inspired by some classical music, a classic composer Eric Satie; By very simple, beautiful, melancholic small piano pieces. Also inspired by German Krautrock from the seventies and also I am a big fan of The Cure, really love that band, their early stuff. I love their stuff, their way of doing really great pop songs with a dark twist. I’m really inspired by that. Then again it can also just be looking out the window and there is a special light because it has just stopped raining and the smell. There are so many other things, it’s just hard to point out! What are some of the most notable memories you have of your career to date? You’ve had so many milestone achievements, what memories or achievements do you cherish the most? I’ve been very lucky that there have been some good ones. 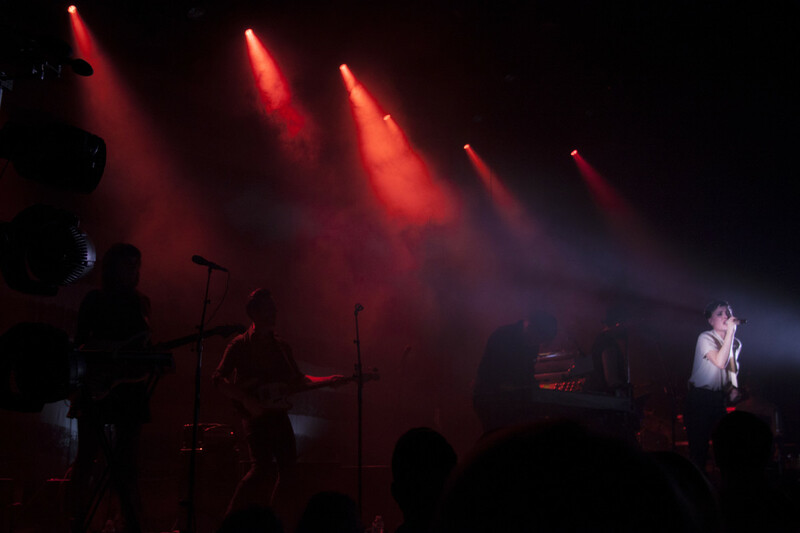 I think one of the greatest things that we did with our live band is the Coachella Music Festival; that was really a big thing for us, it was one of the first times we’ve played over here. Actually, it was our first, one and only festival over here at the time. It was fantastic because we didn’t really know what to expect and a lot of people went into this tent that we played in and it got really crazy! I also really liked the last time we were playing here, The Fillmore was one of our biggest venue gigs because we it’s much more intimate, stiller, kind of big venue, but you can look people in the eyes. Yeah, yeah! I was just looking backstage at the posters around here and you see Jimi Hendrix, The Cure, Janis Joplin played here. This place has such a long history so it’s a big honor to be playing here, if you had told me about that twenty years ago, I would have said, “No! That would have never happen!” It’s great, it’s like a child’s dream that is coming true. What are the two most important things in your opinion for people to always remember when making music today? Trust your gut. Don’t be afraid of mistakes because if you make mistakes you always learn from them. On my own writing, some of the best ideas come out of mistakes; Something that I played wrong or a synthesizer did wrong or a guitar player played a wrong chord and it really sounded good and I suddenly found out I could use this in creative ways. There is a lot of musicians, some that are afraid to really makes mistakes and everything should be perfect, perfect. Sometimes this unperfectness can actually to lead to some magical stuff.